What can “The Office” teach us about Non-Compete Agreements? Fans of NBC’s hit show “The Office” will enjoy this one. 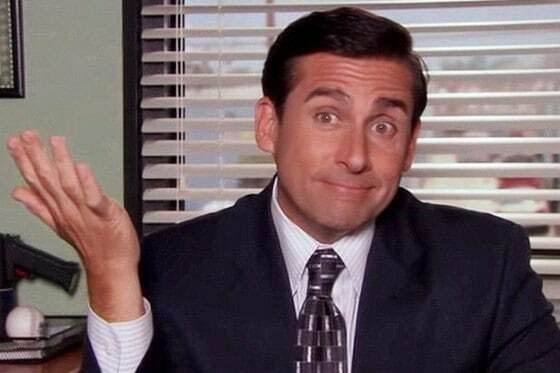 Midway through Season 5, Dunder Mifflin’s fun-loving, crass, brilliant, idiotic, borderline-bipolar boss (Michael Scott) shockingly and abruptly hands in his two week notice. For the first-time viewer, it’s an altogether jaw-dropping moment. What happens next is a case study in why ALL companies must have Non-Compete, Confidentiality, and Non-Solicitation agreements in place for their key employees. The next episode opens with Michael playing out his remaining two weeks as Regional Manager. Within the first 8 minutes of the episode, his persona spirals from taunting coworkers with his “I don’t give a f*** because I’m outta here” attitude – to legitimate fear when he finds out that the job market is bad – to utter desperation as he scrambles to steal company information and poach employees in an ill-advised attempt to start a rival paper company. The episode culminates in a scene where Michael is literally sitting on the floor of the office – just out of sight of the interim boss – begging his former coworkers to join him on his new business venture. Nobody obliges and eventually Michael is escorted from the premises. The camera shifts to receptionist Pam Beesly, who – for a brief moment – seems to contemplate all of her life’s decisions. Never a risk taker, Pam experiences a moment of impulsivity as she gazes upon an office that has just experienced major upheaval. As if sealing her own fate, she mutters, “Oh no…”, before standing up and running after Michael. In that moment, the Michael Scott Paper Company is born. As the remaining episodes of Season 5 play out, Michael Scott Paper is able to undercut Dunder Mifflin’s prices and steal away dozens of clients. Let’s tie this into real world insights. All companies should understand what these agreements do, and consider the benefits of implementing them. In theory, they can all be standalone documents. In reality, most companies mash them together, wrap a neat binder around them and call the whole deal an Employment Agreement. Any business that is substantially similar to our company, and operates within ___ (fill in the blank) miles of our current location. To terminate employment with the company or otherwise solicit such individuals in a way that would diminish that employee’s service to the company. These restrictions generally become effective upon the employee’s official hire date and may last up to 24 months after termination (depending upon a bunch of legal factors). Would these agreements have stopped Michael Scott from starting his own company, while stealing clients and other employees in the process? Probably not. His character embodies .1% critical thinking. BUT it is likely that any one of them would have given his former employer, Dunder Mifflin, legal recourse to shut the company down the moment he started it. Having all three is an iron-clad no-doubter. Point. Set. Match. Game. Game Over. End of Game: Dunder Mifflin. In the end, I wouldn’t rewrite a single line of “The Office”. It is one of the single greatest comedic masterpieces ever created. But unless you want your business to become the inspiration of the next great comedic masterpiece, I recommend protecting yourself. The Agreements are a good start. Thanks for reading! To subscribe to our weekly content, you can enter your email on our homepage. You can also follow me on Instagram (@kelton.official), where I regularly post links to new blogs, as well as random pictures of my life.